The Dutch Iris is a hybrid of several other types of irises. Over time, its color range has increased and now includes blues, purples, white, and yellows. 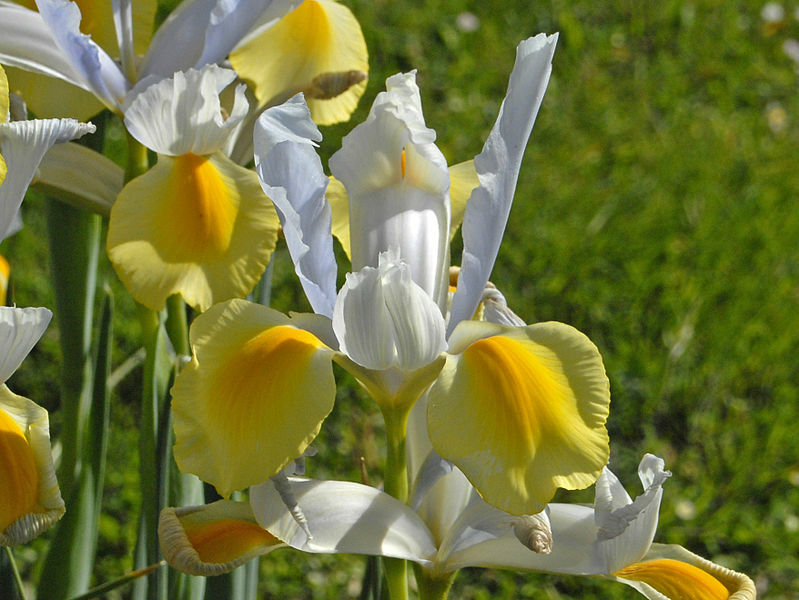 Iris x hollandica by Hectonichus under CC-BY-SA-3.0, via Wikimedia Commons. 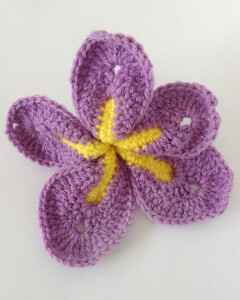 Our Dutch Iris pattern uses a variety of stitches to make the petals. 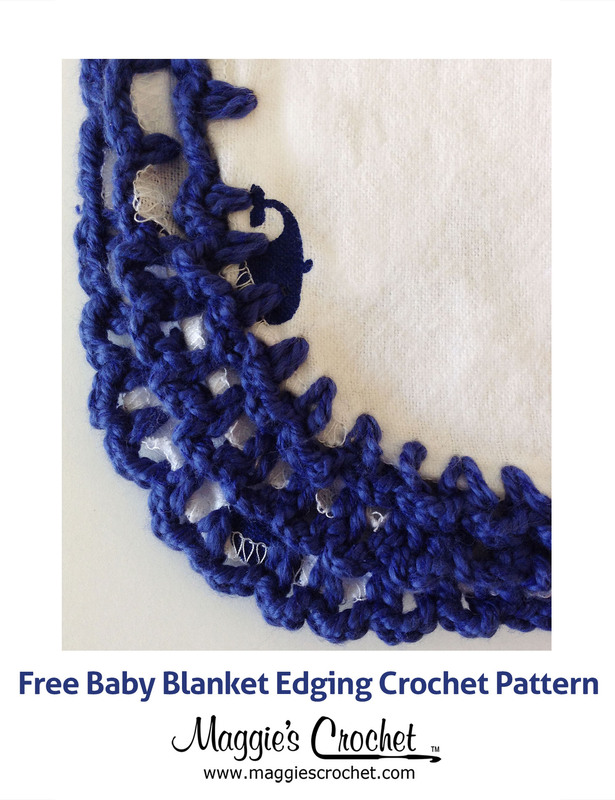 If you need help with any of the stitches, be sure to check out our tutorials on double crochets and treble crochets. 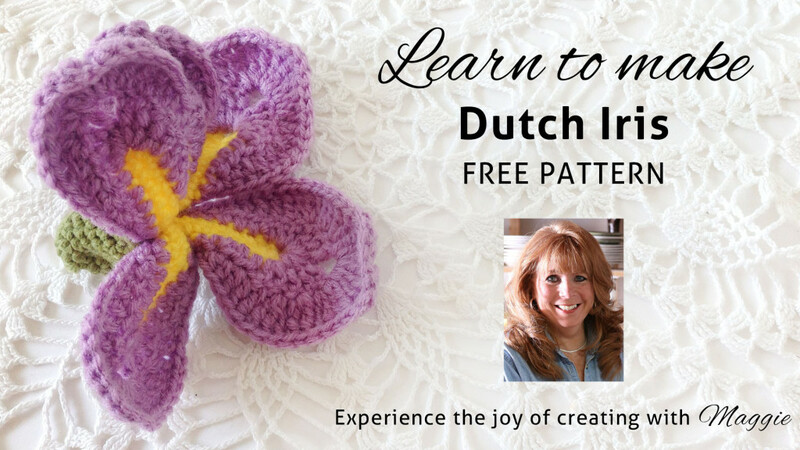 Click the photo for the Dutch Iris pattern. 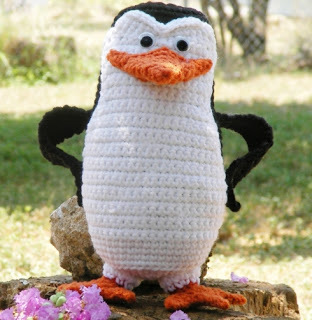 This flower can be worked with any weight of yarn. Finer weights will create a smaller flower, and bulkier weights will create a larger flower. 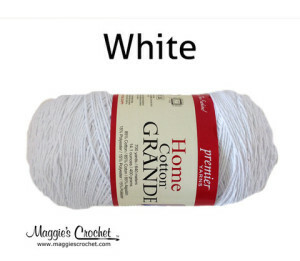 Use the hook size appropriate for the yarn you choose. 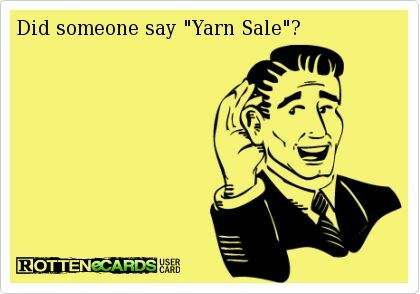 We used worsted weight yarn and a size F-5 hook in our samples.